Be the first dealers in history to not only offer a terrific vehicle, -but the tools for self-reliance and independence. 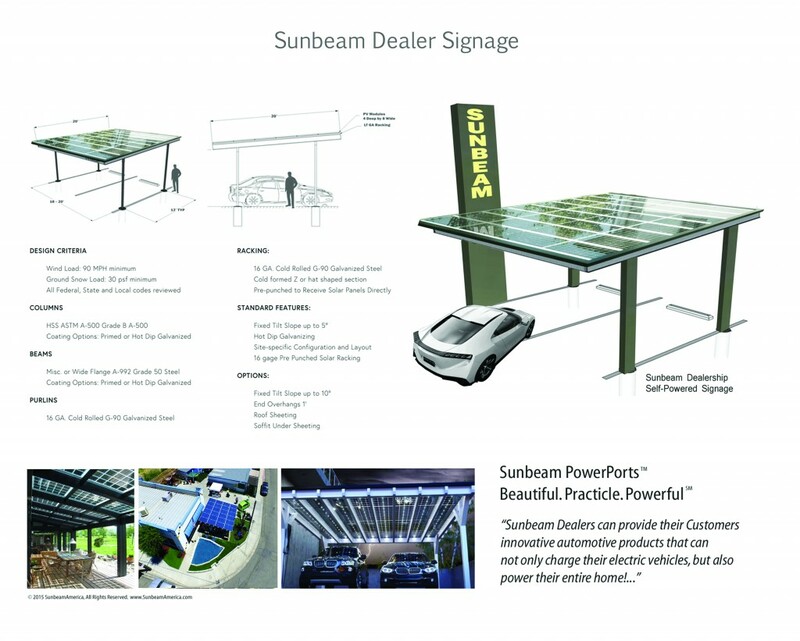 Only a Sunbeam dealer can offer their customers the ability to completely eliminate transportation fuel and home electric costs. Believe it or not, a Sunbeam PowerPort not only produces enough electricity to charge an electric car or truck, but it can also run an entire home. In fact, a small PowerPort similar to the one shown above, has the ability to completely power over 70% of the average sized home-styles in America. Many times the monthly payment of the PowerPort is less than the customers monthly electric bill. PowerPorts are beautiful, portable, and powerful. For the first time in history, a customer can actually purchase straight-away or trade their car in for their own electric power plant. Combine this with a Sunbeam electric vehicle, and your customer can live and drive completely under their own power. 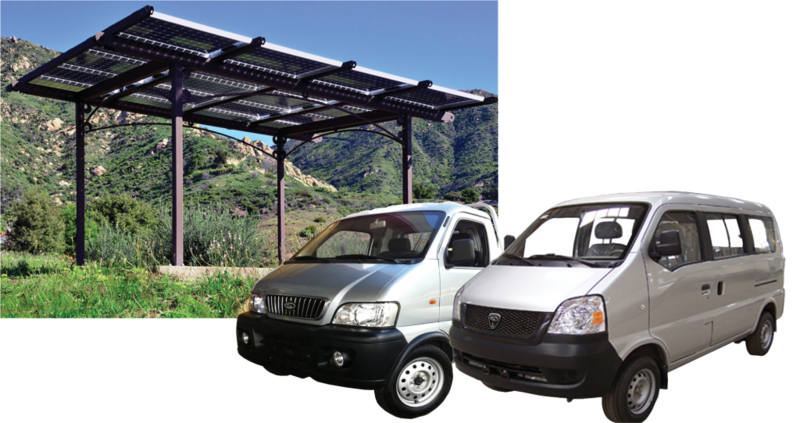 Currently, Sunbeam is focused and committed to continued design and production of pure electric vans and trucks for farms ranches, campuses, and specialty markets. Our “task-oriented” vehicles with proven performance provide unique solutions to an ever growing market unapproachable by other franchises. One of the fastest growing markets in the world includes transportation solutions to commuters, bikers, health and recreation markets. Offering the fastest acceleration and cruising speeds up to an incredible 30MPH, Sunbeam Motobikes surpass the performance of any other production bikes on the road. Combined with our exclusive Solar Hybrid option, Sunbeam owners can commute up to 20 miles without pedaling, purely from the power of the sun. Be a part of the Sunbeam team. Contact us today and learn more about our products, and whole new world opportunity. Sunbeam, we revolve around you.